Time for a train! :-) This is ex Denver & Rio Grande Western K-36 locomotive 488 sitting at the station in Antonito, Colorado. 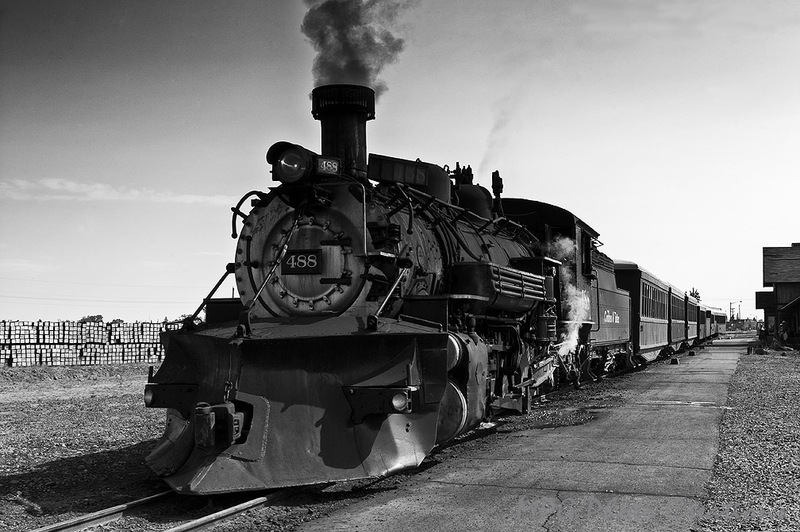 it was the locomotive for our train to Chama, New Mexico this day a couple of years ago. Decided on a B&W treatment to give it an ageless appearance.